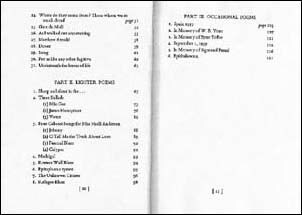 This poem can be found under at least four titles. 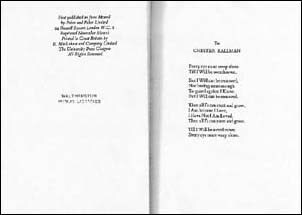 There is some confusion and much discussion on Usenet about the original title of this poem. The following information is mainly taken from newsgroup postings. 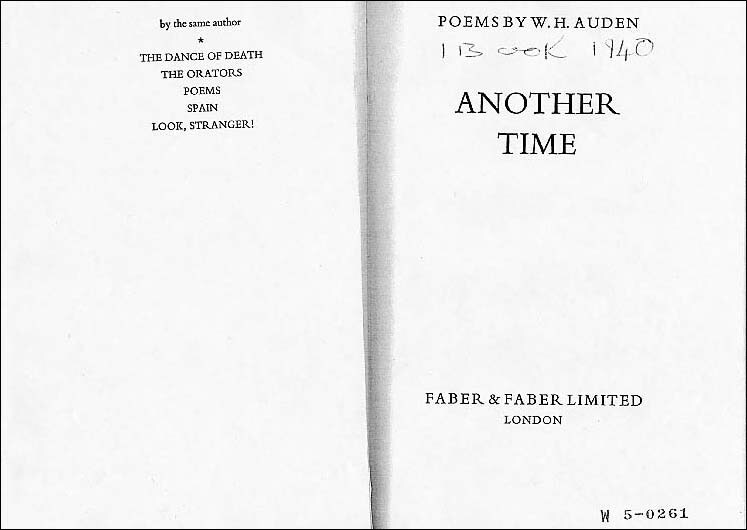 The title "Funeral Blues" was used in a publication 3 years after Auden's death, presumably with the knowledge and permission of Auden's literary executors, amongst whom was Edward Mendelson, unchallenged in his role as Auden's chief editor, biographer and critic. 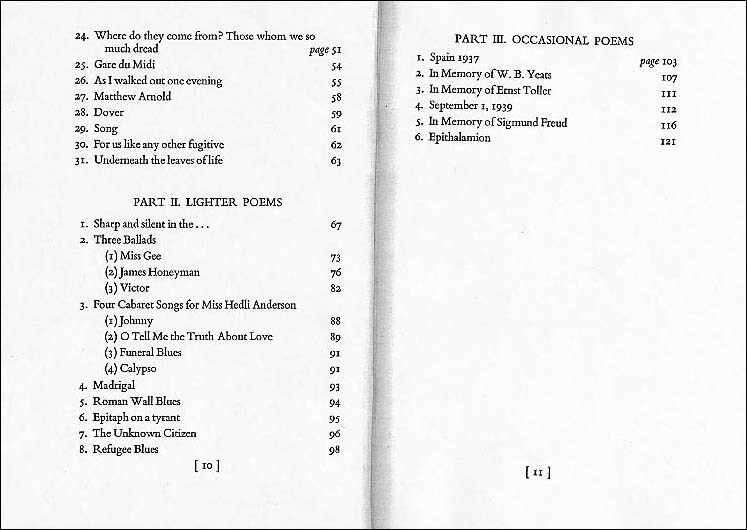 Professor Mendelson himself used that title for the poem when editing "Collected Poems" (1976). 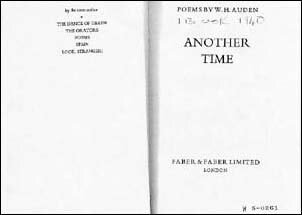 "Auden intended it to be set to music, and it has been used as lyrics at least three times. 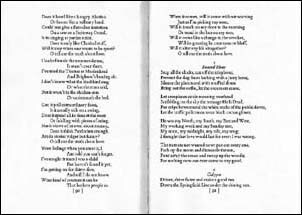 It was first set by Benjamin Britten, who often collaborated with Auden and who made this poem into a showpiece for the cabaret singer Hedli Anderson. Ned Rorem wrote two contrasting versions in his song cycle `Songs of Love and the Rain'. 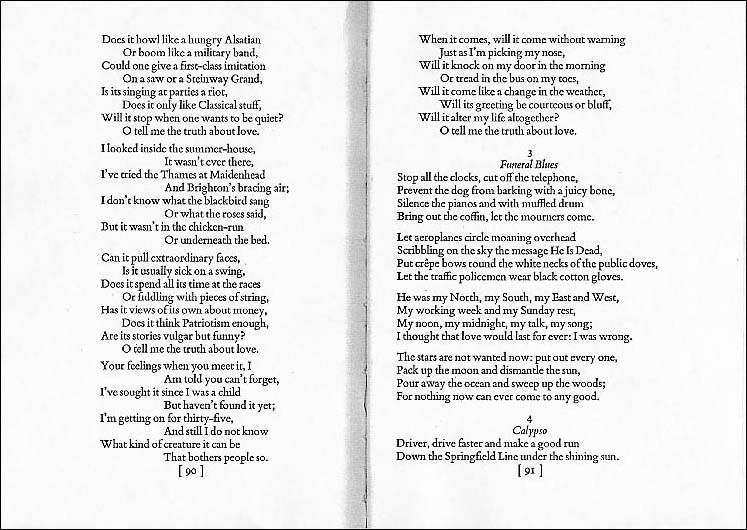 Britten called his setting `Funeral Blues', and Rorem called both his `Stop All the Clocks'." 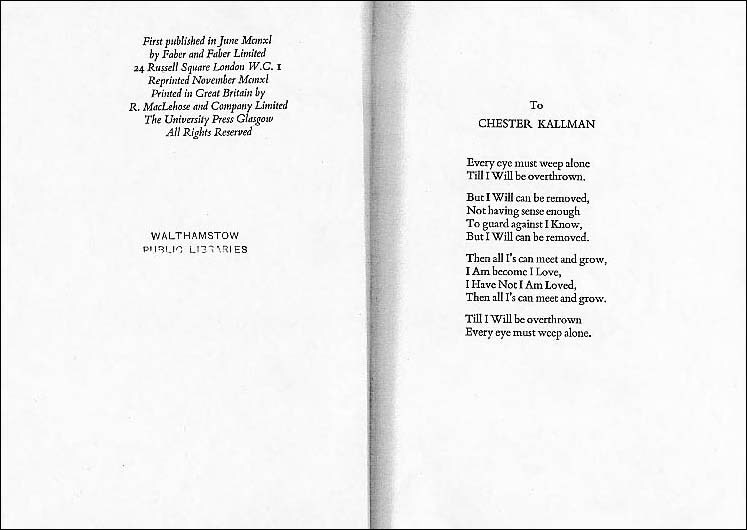 Below are scans of pages from the first edition of "Another Time".